Years in the making, PROFORCE VTS shafts were developed almost entirely through research and player feedback. UST Mamiya spent years researching the significant influence that torque has on distance, control and feel. The feedback revealed how players could control dispersion based on adjusting torque to their swing style. Perhaps more importantly, the research confirmed that the relationship that “feel” has to torque is infinitely more complex. Players who thought shafts were stiff or soft were not necessarily feeling the flex or weight, but were actually feeling torque. And when players are matched to the proper torque shaft, ball speed increases of up to 6 mph with dispersion reduced up to 30%! 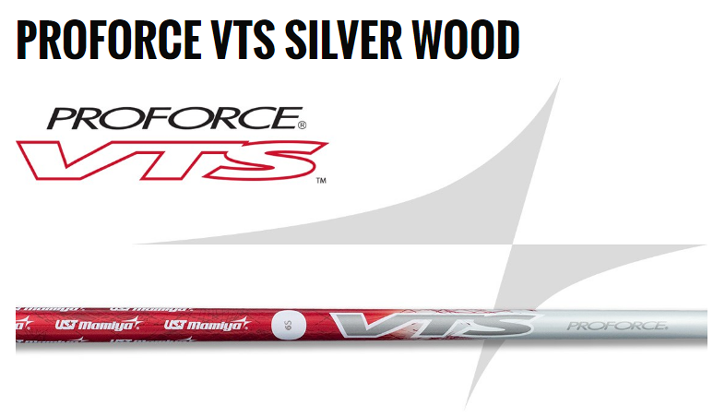 PROFORCE VTS is turning traditional shaft fitting upside down. By not isolating shaft performance to swing speed or physical strength alone, PROFORCE VTS shafts fine tune how weight, flex and torque work in concert to create distance, control and feel. Proforce VTS Silver 8S S 83g 3.0° Mid 0.620" 0.335" 4.0" 46"
Proforce VTS Silver 8X X 86g 3.0° Mid 0.620" 0.335" 4.0" 46"
Low Stock only 1 left of each shaft Free Shipping.